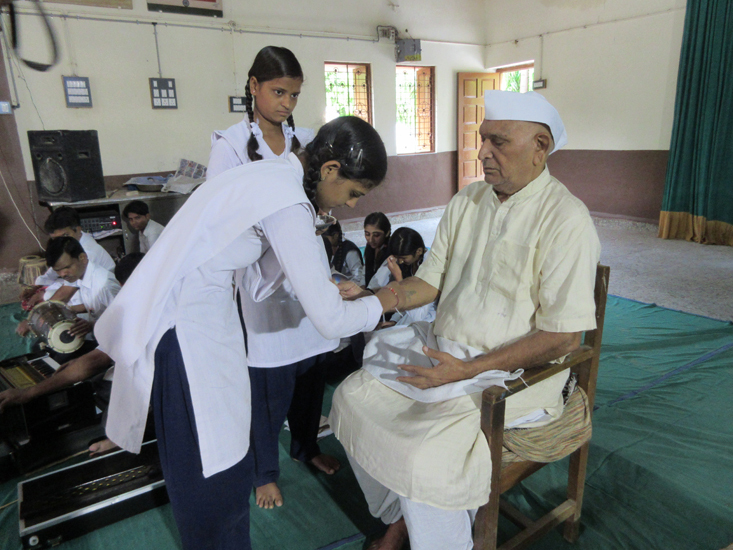 ➤ Sarvodaya Yojna was started in backward areas to spread Gandhian philosophy after the independence in India in late 1961. 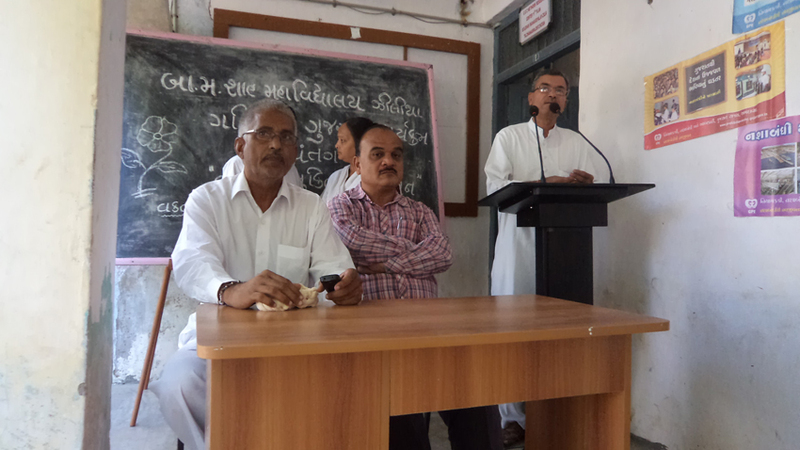 According to census, Mehsana district had more than 18,00,000 population. 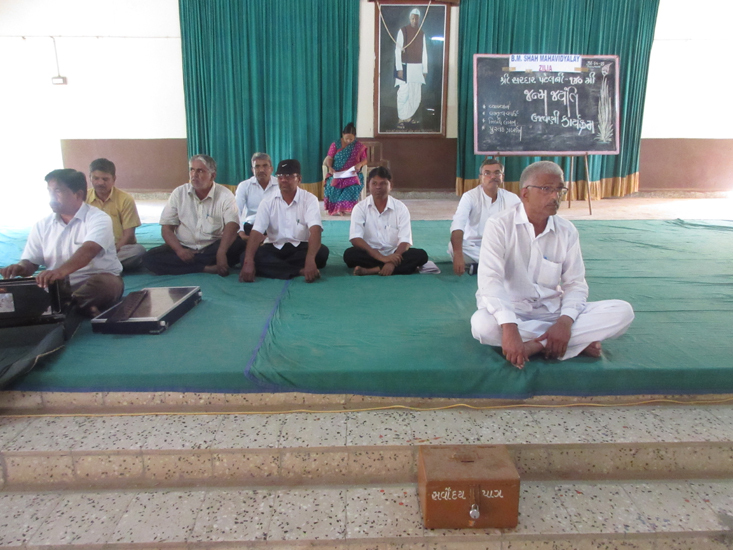 Considering the need of the time the Government of Gujarat granted one more Sarvodaya Centre. ➤ Zilia village is situated on Mehsana-Radhanpur-Kandla National Highway, 100 kms away from Ahmedabad. 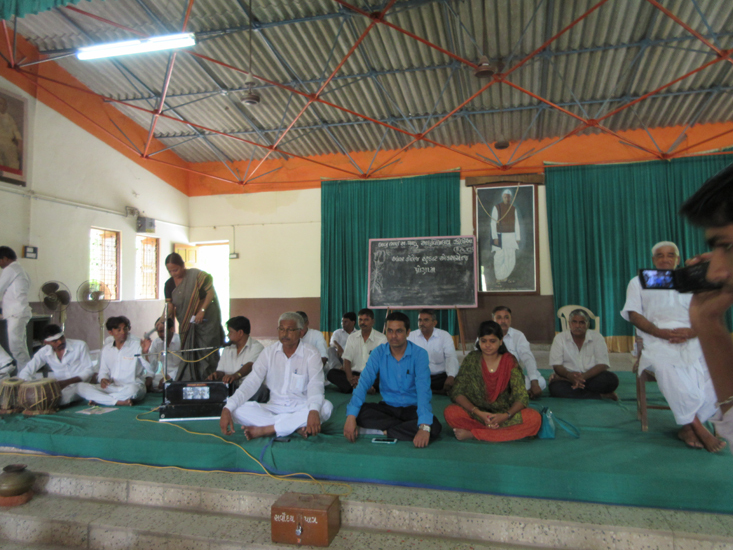 Gandhi Ashram Trust was registered in the year 1964 by the Chairman of Taluka Panchayat Shri Pratapbhai Chaudhary, late Babubhai Shah, Shri Ratibhai Joshi, Sevadal district legislative Shri Muljibhai Desai and the member of legislative assembly Shri Prahladbhai Sheth were the founder members. 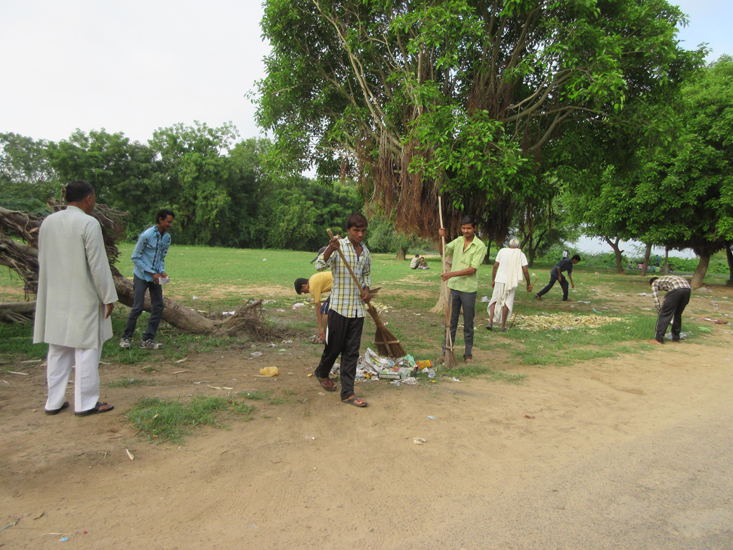 ➤ Dhenoj Gram Panchayat passed a resolution to offer some land at Gangapur village on the bank of Rupen River. 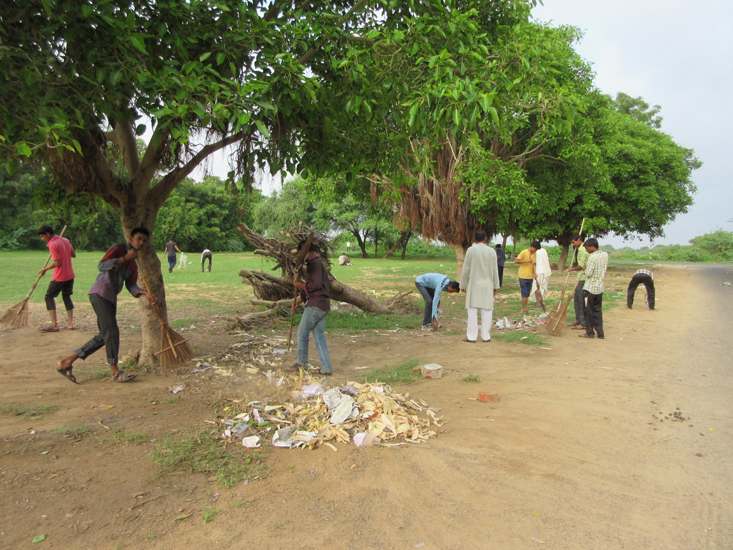 Shri Maljibhai Desai started the activities a Vohraji‟s house near Dhenoj railway station. 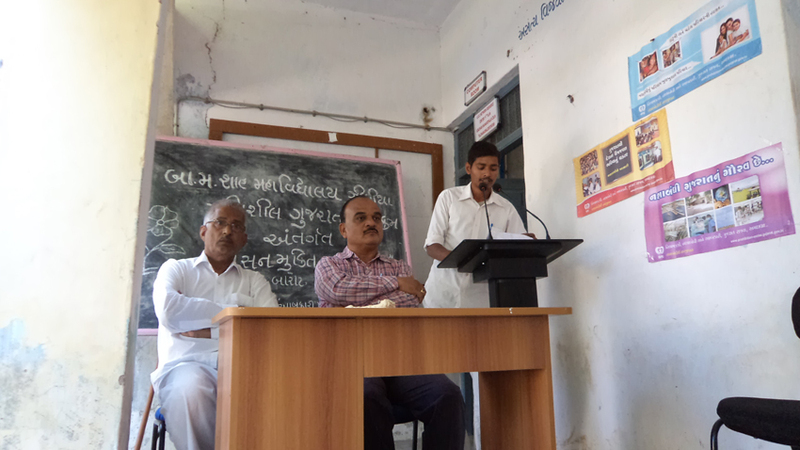 The member of Chanasma Taluka Panchayat decided to offer a place, 8 kms away, near River Khari at Zilia village which is the centre of Taluka was selected to initiate the rural activities. Zilia Gram Panchayat passed a bill and gave 56 acres of land and the organization saw the light of the day in the month of January 1965. 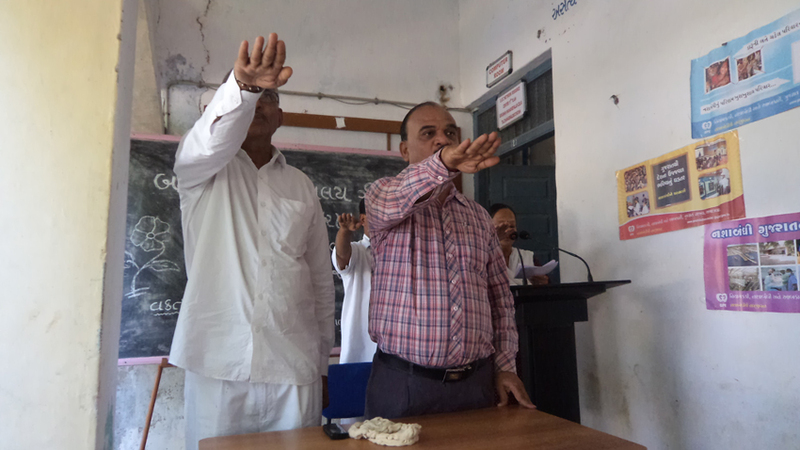 ➤ Late Shri Babalbhai Mehta, Shri Sakarchand Patel, Shri Maljibhai Desai, Shri Babubhai Shah, Shri Manubhai Pancholi, Shri Ramlal Parikh, Shri Dilkhushbhai Diwanji, Shri Navalbhai Shah, Shri Maganbhai J Patel contributed actively for the overall development of the Gandhi Ashram. 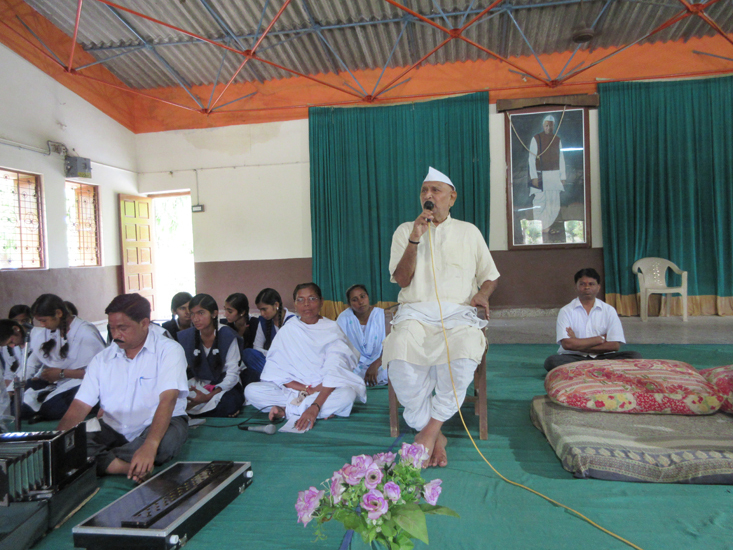 ➤ Gandhi Ashram, Zilia has established many institutions and undertaken several activities for the rural development like Balwadies, Anganwaides, Primary Schools, Ashram Shalas, [residential schools], Uttar Buniyadi Vidyalaya, Uchchatar Buniyadi Vidyalayas, Gram Vidyapith [Babubhai M. Shah Mahavidyalaya], Adult Education Campaign, T. B. 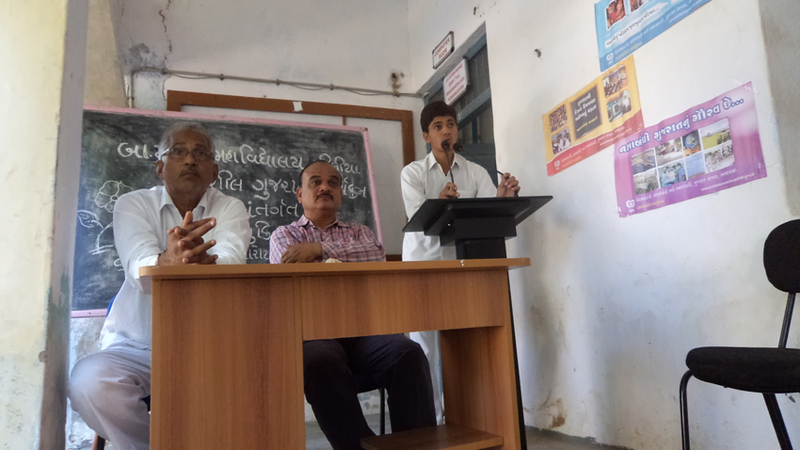 Awareness Campaign, Sulabh Sauchalay Project, Irrigation Project, Submersible Pump Project, Cattle Camps, Primary Health Centres for Animals, Amber Kendras, Khadi Bhandars, Sarvoday Yojana, Cooperative Movement, Staff Welfare and Student Help Centres, etc. 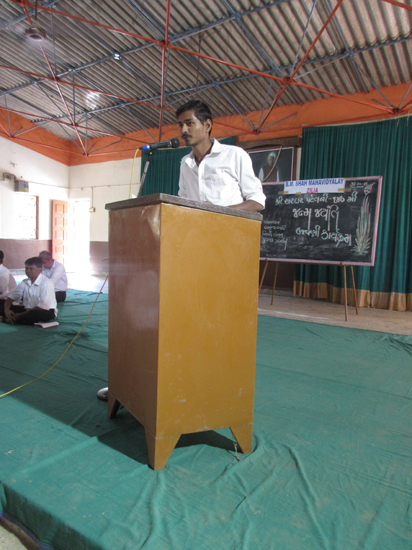 ➤ With the increase in basic education, it was easily possible to impart education up to Std. XII. 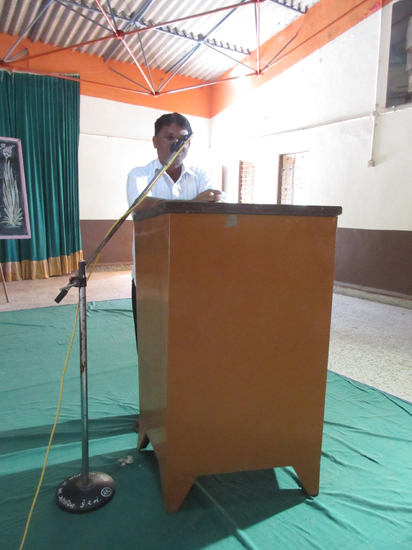 But the institutions imparting Nai Talim education beyond that were very limited in number. 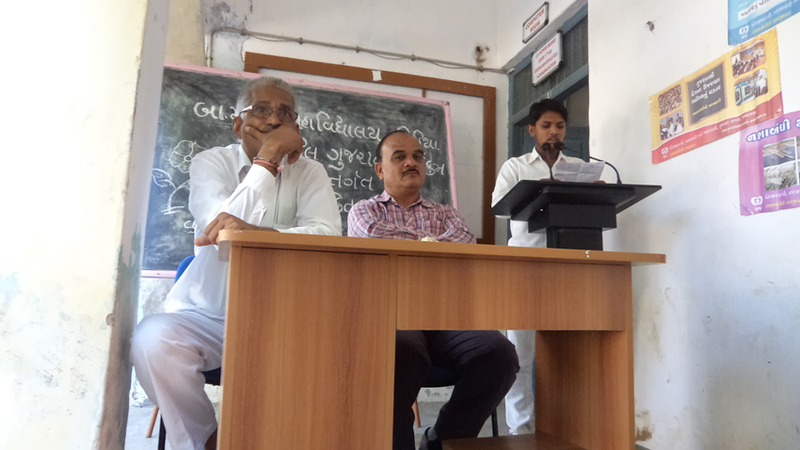 There were only of 04 Mahavidyalayas [colleges] giving Nayi Talim in Gujarat. 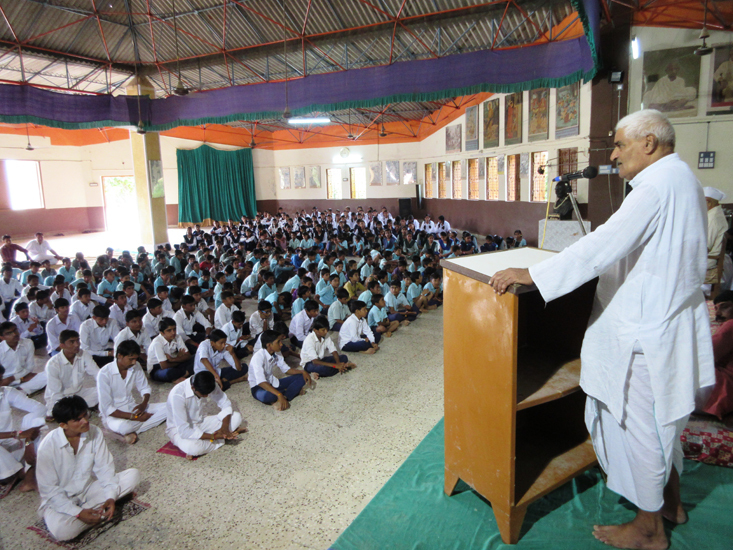 It was a dream of late Shri Babubhai Shah to establish an education institution for the students of this area. But before realizing his dream he expired. His associates decided to realize his dreams. 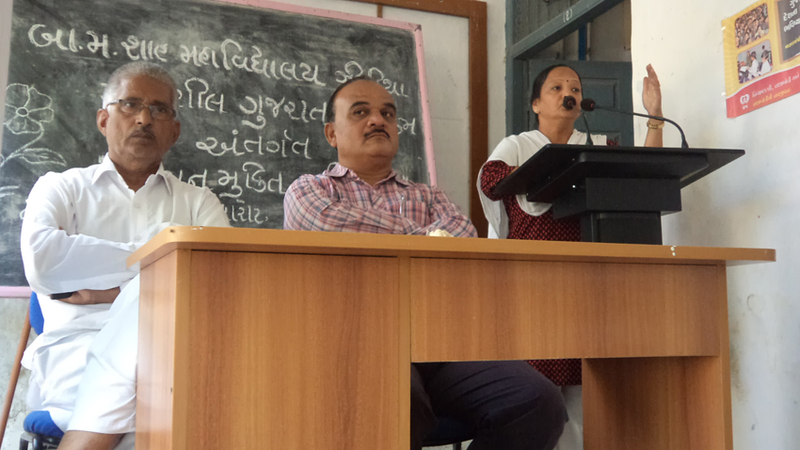 Out of the respect for him the Managing Trustee of the Sarvodaya Kendra Shri Devikaben showed her readiness to allot land of the Sarvodaya Kendra, Amirgadh to start a Mahavidyalaya here. 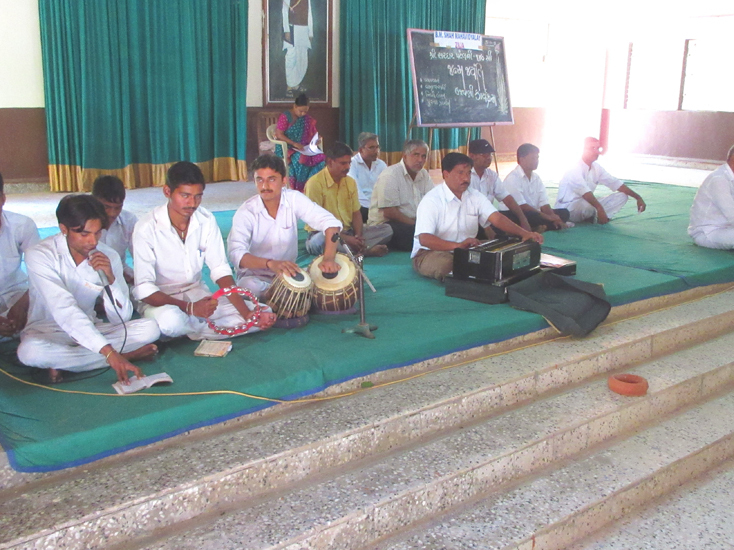 As a result a Mahavidyalaya was started at Amirgardh in the memory of late Shri Babubhai Shah in July 1984. 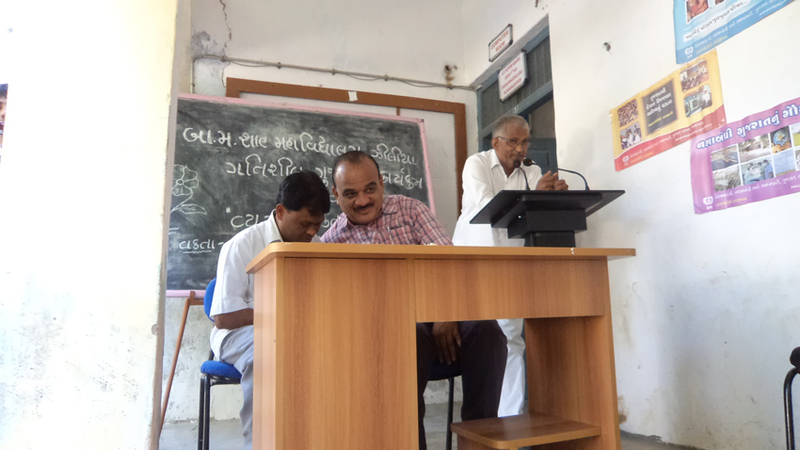 It was inaugurated by the then Education Minister of Gujarat Shri Prabodhbhai Raval. Unfortunately, after one year due to consecutive three sever draughts land and water started obstructing teaching and other activities of the Mahavidyalaya. 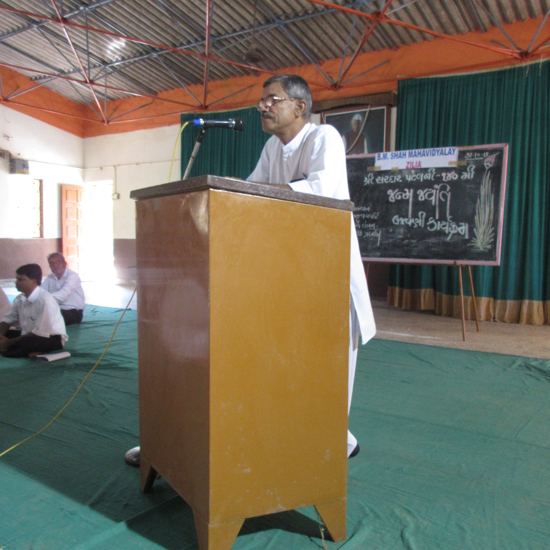 The teaching of agriculture is a very important aspect of it. 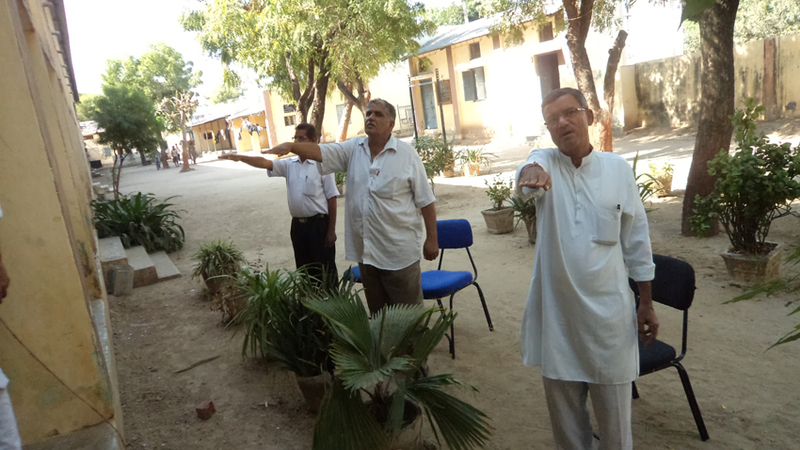 In the scarcity of water and a limit to land area the Mahavidyalaya was shifted to Gandhi Ashram, Zilia after five years of its existence, there. 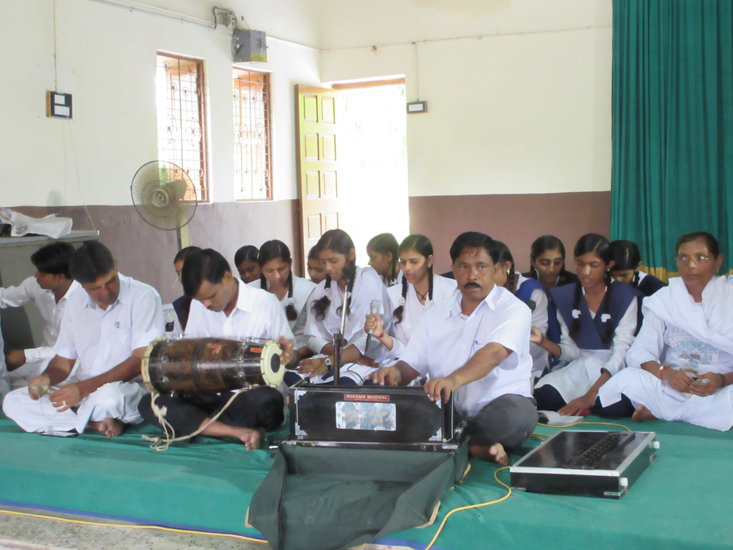 ➤ Shri B. M. Shah Mahavidyalaya, Zilia is an institution of higher education in rural studies. 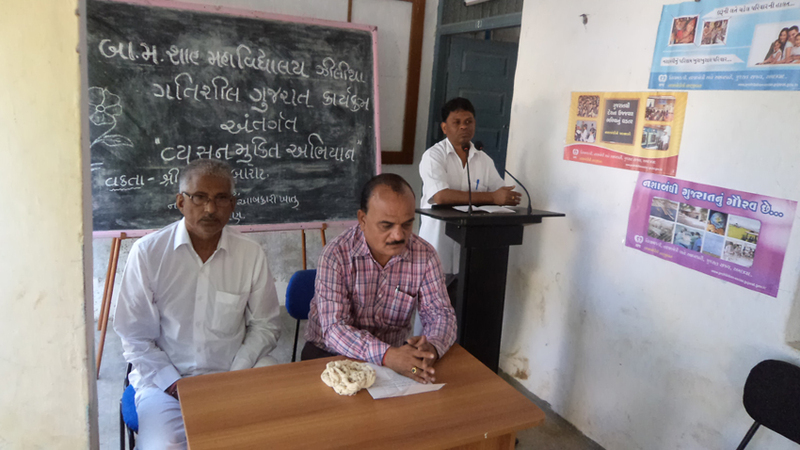 Agriculture and Animal Husbandry being the fundamental and principal occupations of villagers they occupy very important place in the syllabus. The students get the knowledge of science of animal breeding, here. Equal importance is given to Extension Work. The people around Zilia village always rely on the competence and the knowledge and expertise of the faculty related to the problems related to animal husbandry and agronomy. 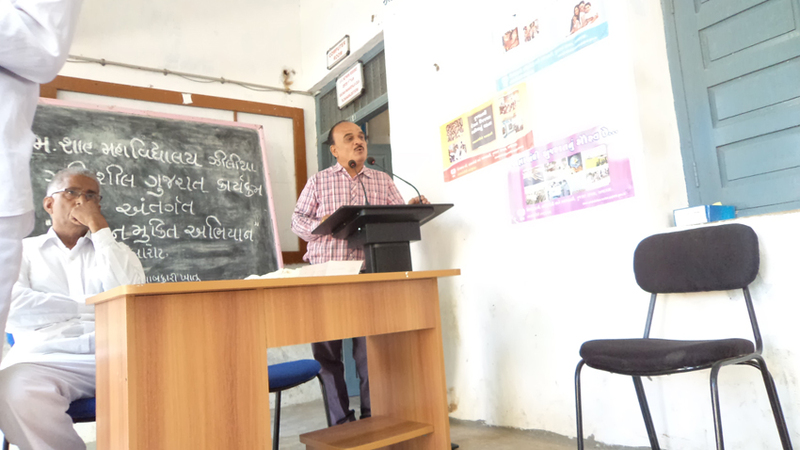 ➤ The aim of education of the Mahavidyalaya is to enable the students to maintain their relations with the villages, to make them love the villages and to prepare them as rural leaders. ➤ economically, psychologically unique understanding among the society.